Having a knife on hand is an absolute must during a survival situation. 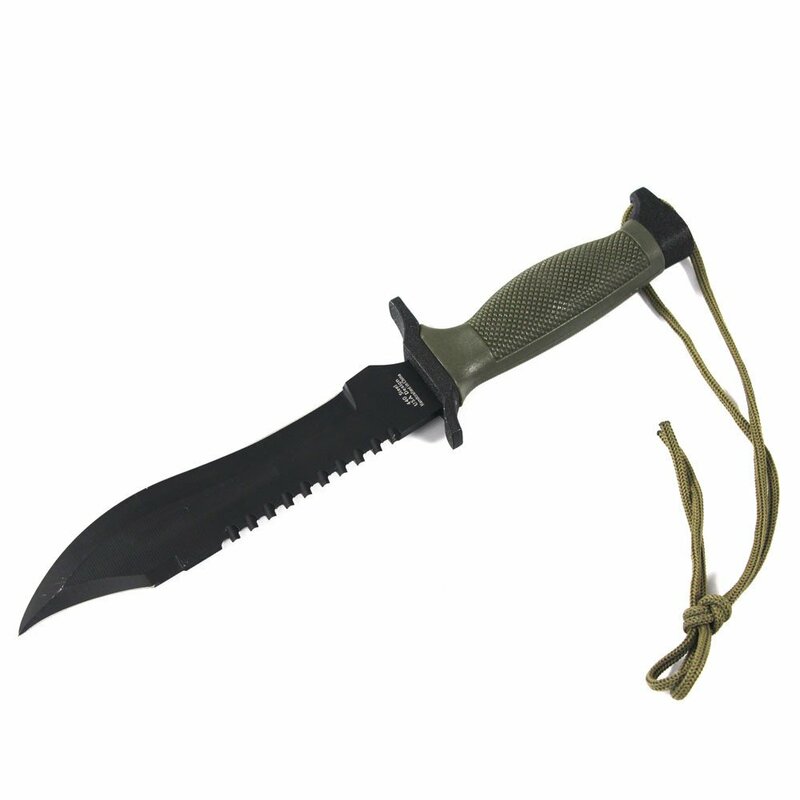 A good survival knife can help you catch food, build shelter, and defend yourself from attacks. Unfortunately, this use will cause the knife to go dull, which means you’ll also need a way to sharpen it. Even if you have a knife sharpener in your bug out bag, there’s still a good chance that it could get lost or broken in a survival situation. Having a dull knife is better than having nothing at all, but dull blades are less consistent and controllable than sharp ones. This means the risk of accidental injury is increased when using a dull knife. As such, knowing how to improvise a knife sharpener can make a big difference during an emergency. Note: Dull or sharp, accidents do happen when people are around knives. 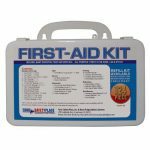 Make sure your bug out bag is equipped with a first-aid kit so that you’re always prepared. The easiest way to see if a knife is sharp is to use it. In a kitchen, a sharp knife should be able to cut vegetables with little downward pressure. If you’re out camping, your knife should be able to cut through wood without leaving marks or crushing the wood fibers. Many people use the paper test to see if they have a sharp enough knife. Simply take a piece of paper and hold it vertically. A sharp knife will be able to cut the paper in a smooth slicing motion while a dull knife will cause the paper to crumple. Should you find yourself in a survival situation without a piece of paper nearby, you can test the knife on your arm hair. Extreme caution must be exercised with this test, but you can be sure any knife that passes is extremely sharp. 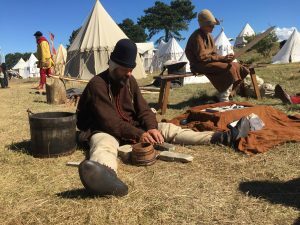 In the days before online shopping, people actually had to make their own knife sharpeners out of nearby materials. The video above features an authentic sharpening stone just like the ones used by Native Americans. It’s an effective setup that only requires a stone and a little bit of water. The process is a bit more laborious than the natural rock method and involves grinding a stone into pulp to make a DIY whetstone. If you’ve been to the barbershop recently, you may have seen this sharpening method in action. Stropping – the technique of sharpening a razor by dragging it across a taunt piece of leather – works for knives as well. Best of all, in a survival situation, you can use your own belt to sharpen a knife. The one caveat is that you’ll want to use a belt made of either top-grain or full-grain leather. Many leather products found in department stores are made of genuine leather, which is the lowest quality of real leather. A survival situation doesn’t have to happen in the wilderness. It’s possible you could find yourself in need of a knife sharpener while barricaded inside a house. Luckily, you can find a handy knife sharpener right inside your kitchen counter. Nearly any ceramic coffee mug that has a flat, rough bottom can sharpen a knife if needed. Place the mug upside down on a flat service and run the blade over the rough bottom of the cup similar to how you’d sharpen a knife with a stone. Need a knife to sharpen? 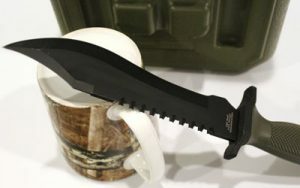 Check out our new 12” Fixed Blade Survival Knife by M-Tech. This entry was posted in DIY Survival, Outdoor Survival, Prepping, SHTF, Survival Hacks and tagged DIY Survival, diy survival tools, prepper hacks, self defense weapons on March 18, 2017 by Survival Frog.